Hi my name is Scott Wilford and I grew up in Sunnyvale, Ca and have been fishing for as long as I can remember. Once I got to high school my passion ignited and I spent all my free time on local lakes and the older I have gotten to go fish dozens of bodies of water and hone my skills. In this blog my goal is to give my readers everything from advice, reviews, tackle tips, and some stories from my days on the water. I hope that me giving you this information is for both newbie fishers and veterans that just want other perspectives alike. I have chosen to create a whole blog about bass fishing specifically in California for a few reasons, one it is my biggest passion and bass fishing in California is drastically different than bass fishing in other parts of the United States. 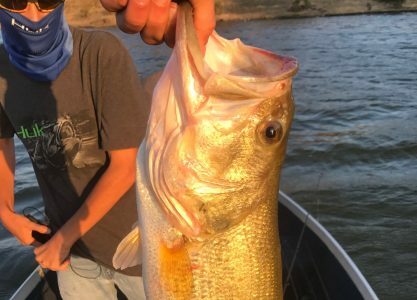 I really want to give this blog a wide spread when talking about California bass fishing because it is such a different place and I want to give advice on what lures and baits to use to what lakes are really impacted and which lakes I have had some of the best fishing of my life in. For people who are reading this blog who are looking to get into fishing I want them to be able to go out and succeed and not have to learn it all on their own. Fishing in the past has been very secretive with old timers not want to give up their tips and spots cause they want all the fish for themselves but I want to be part of the new movement to help other anglers fish to the best of their abilities and have the best time while fishing not getting all bummed out cause they did not catch a fish all day trying to teach themselves. Stay tuned for future updates and hope you enjoy.